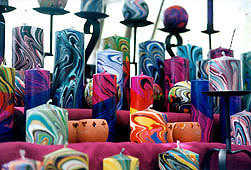 Stacks of Wax hand marble this range of candles with beautiful swirly patterns. 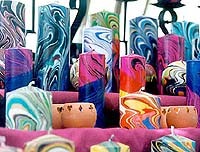 Each candle has a unique pattern and there are two basic colour styles available, namely clear dip and colour dip. To our knowledge we are the only candle company in Australia using this technique.